If your team uses Google for user management, email, file management and so on, you can make sure that all authenticated Google users from your domain can automatically join your organization. By toggling on Allow all <domain> Google users to join your organization, you can add existing users that have signed up for Favro to the organization. This will also add any user that signs up with your Google domain to Favro. 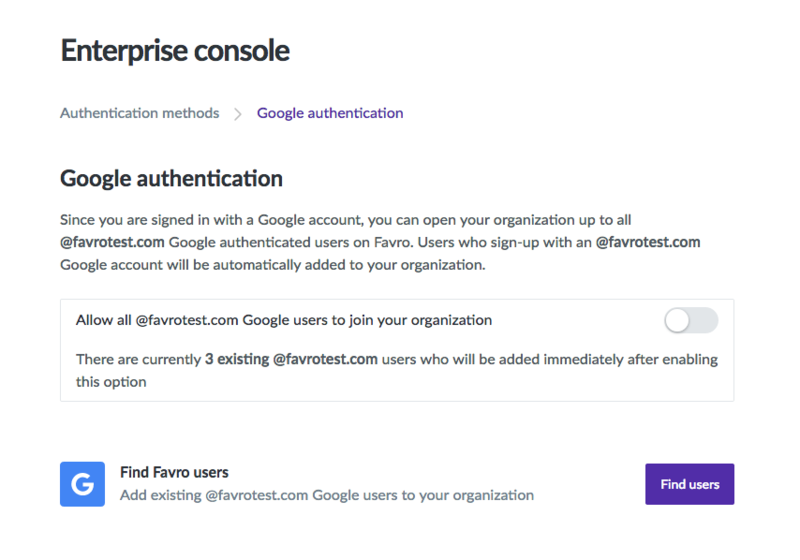 If you want to specifically control exactly who in your company can have access to your organization, you can use Find users to add anyone who has signed up to Favro with their Google account.